This changing pad liners I used is awesome because it does help so much for me. The 3 packs XL is great as it covers the entire changing mat and it is very lightweight, and breathable too. The material or fabric is also soft so baby is comfortable to lay on the liners while being changed. 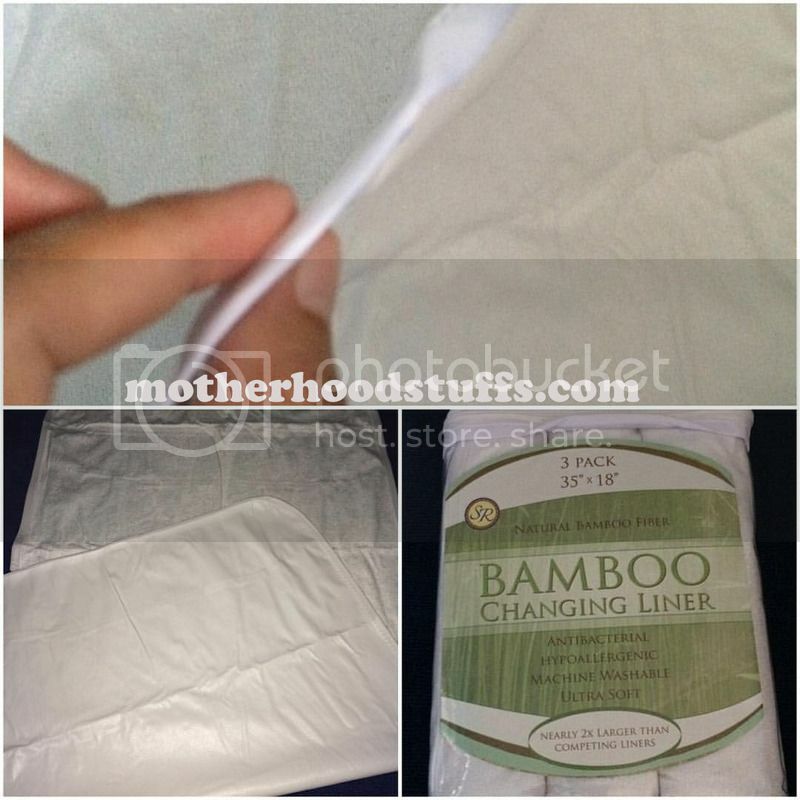 What I like about the changing liner is that it is natural bamboo fiber, absorbent in case of some accidents happens. It is larger than what I've normally had and of course it has an ultra soft for my little one. Dimension it says on the packing is 35" x 18". It is also waterproof, easy to wash in our washing machine and because it is thin it dries fast. For the pack of 3 is a great deal, I don't need to rush to wash if it gets dirty or need to be washed right away. For the List Price of $25.99, it drops down to $19.99 and you Save $6.00 (23%) in which a great deal.